Draw entity relationship diagrams (ER diagrams) easily. Design databases or reverse engineer existing structures. ConceptDraw DIAGRAM is a very easy-to-use and intuitive database design tool which can save you hundreds of work hours. Database diagram software ConceptDraw DIAGRAM includes its own internal script language ConceptDraw Basic for more comprehensive database modeling. See database diagram samples created with ConceptDraw DIAGRAM database modeling database diagram software. Enhanced Entity Relationship Diagram modeling allows you to design a fully relational database. 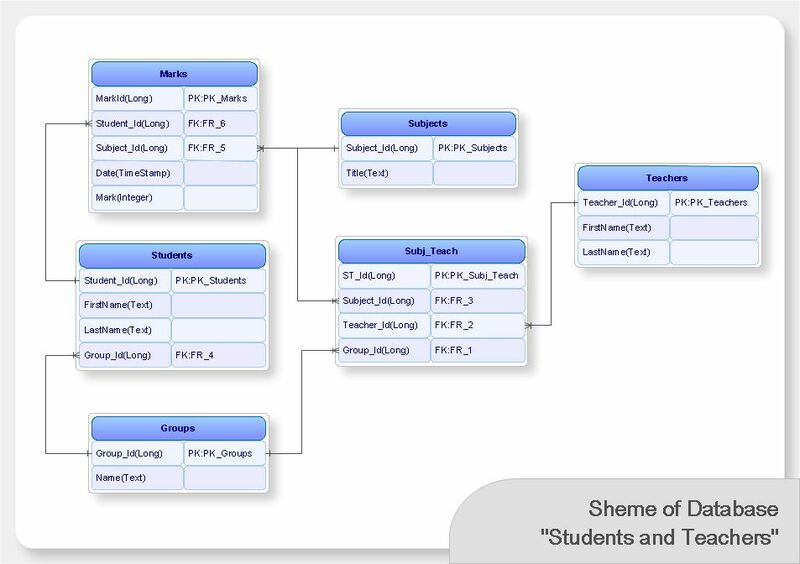 Data Structure Diagram that is created automatically from the Enhanced Entity Relationship Diagram shows the complete table structure. Support of ODBC-compatible databases (Oracle, MS SQL, InterBase, MySQL, MS Access, Firebird and others). The built-in scripting language allows to connect to ODBC-compatible databases and automatically generate the structure of a database (reverse engineering of the database structure). Cross DBMS Target Compatibility allows you to design once and create for all. Extensive export opportunities of database design diagram. Flexible Datatype Mapping allows you to add and remove Target DBMS data types, include data type modifiers, and create auto-increment data types.